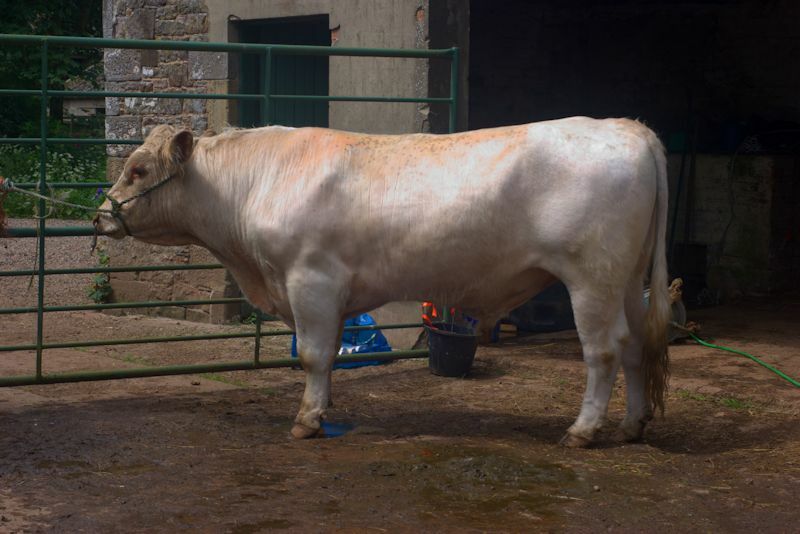 We have bought the 7 month old white bull calf, Redhill Ferny from his breeder Brenda Wear. We spotted him with his mother at the Highland Show and reckoned that there was a good chance that progeny of such a great show cow as Redhill Bundaberg's Crocus and the proven sire Chapleton Promoter stood a good chance in time of being a great sire. So far he is living up to expectations.